This fringe is not the most flattering thing she's ever done. But you know, questionable hair styles happen to us all. 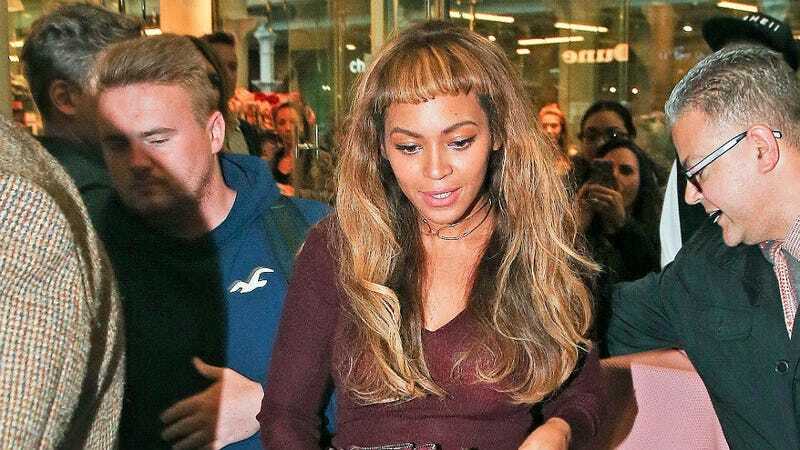 BEYONCÉ'S HAIR, IT'S JUST LIKE US.